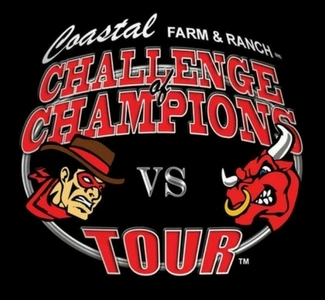 The Challenge of Champions Tour features Professional bull riders from all around the Pacific Northwest. A very important aspect of the show is that during each event a true American Hero is showcased; service men, ranging from 100 year olds to 18 year old Veterans. The tour also showcases several youth, the pride and joy of the Tour!